As I’ve mentioned in my recent (haha) posts, 2015 was a big year for us. We added on to our home (about 1000 square feet) and totally remodeled our kitchen. While some might be more excited about gaining the square footage, the kitchen remodel was the most exciting part of this project for me. This photo is taken from almost the same spot as the photo above. Obviously, the angle is slightly different, but it’s evident how much darker and more closed off our kitchen was before. The old, wood-look faux wood cabinets paired with the outdated, off white laminate countertops made for a pretty dark kitchen. It had been my dream since moving into our home 9 years ago to update this space. 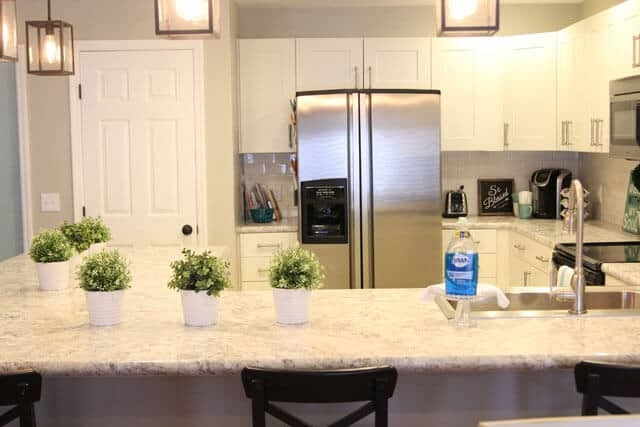 I pictured white cabinets with beautiful countertops and a white backsplash to create a timeless look. See those bifold doors in the back of the kitchen? That back wall of our kitchen was actually a laundry closet. It took up a lot of valuable space; but until the addition, we’d never had anywhere else to put the washer and dryer. Thankfully, during the project, we were able to create a beautiful laundry room so we gained some much-needed space in our kitchen. Now, that back wall houses our pantry, extra cabinets, and the refrigerator. We also moved our stove since we lost the wall where it used to be. I think having it in its new location is much more functional. While we would have loved to have had the sink centered on the counter, it wasn’t worth the expense of moving the plumbing. I have to be honest: living through a major kitchen renovation wasn’t very much fun (especially not when I was in my third trimester of pregnancy). I worked 8-12 hours a day with my dad and a friend who’s a builder, and David would get home from work and put time in, too. We moved all of our living and dining room furniture into our Florida room to avoid dust so it honestly felt like our lives were turned upside down. As we saw everything coming together, though, it made it worth it. 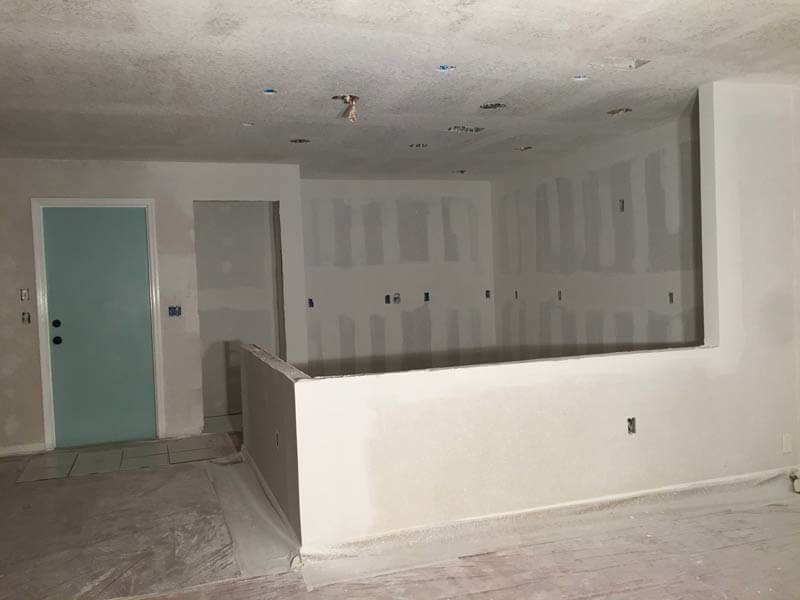 As the dust started to clear and the walls started taking shape, we were able to move on to the design rather than heavy duty construction. We chose a lot of white elements. 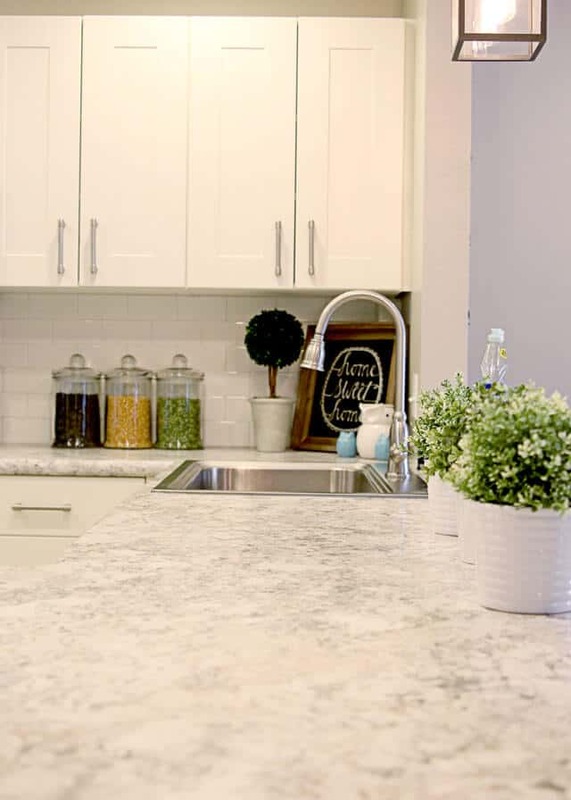 From the classic subway tile backsplash to the slightly off white Ikea cabinets, we selected items to help create a bright, clean look – we’d dealt with the dark and dreary long enough. The counter we chose really helped seal the deal on the look we were going for. We went with Wilsonart HD counters in Spring Carnival. I’ve had so many people ask me what type of stone we used. When I tell them they’re actually laminate counters, they can’t believe it. I love having the laminate counters. With two little kitchen helpers (and one who’ll be helping soon), a hard stone would definitely have ended in broken dishes. With the laminate that really looks like granite, we have the best of both worlds! The black stools and pendant lights really provide a nice contrast to all the white in our kitchen. They also help pull out the veining in our counters. We wanted to keep the decor simple so we chose white ceramic pots with cute little fake plants (that look so real we have lots of people ask what type they are). We added in a couple topiaries and pieces of art and called it complete. In the end, going through the renovation was absolutely worth it. 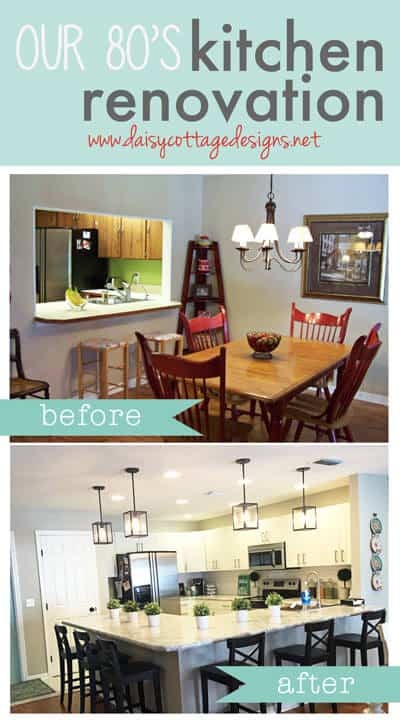 This kitchen remodel has completely transformed our home and made it feel so much larger. In the midst of the renovation, I’d have told you not to remodel your kitchen. But hindsight is 20/20, and now I’d say go for it. *This post sponsored by Wilsonart. All opinions are my own! I really like the use of dark and light colors to add contrast to the room. I have been wanting to have my kitchen remodeled for a while now, and this kitchen looks a lot like what I had in mind. I didn’t think about lighting though, I will definitely have to take this into consideration. Thanks for sharing! 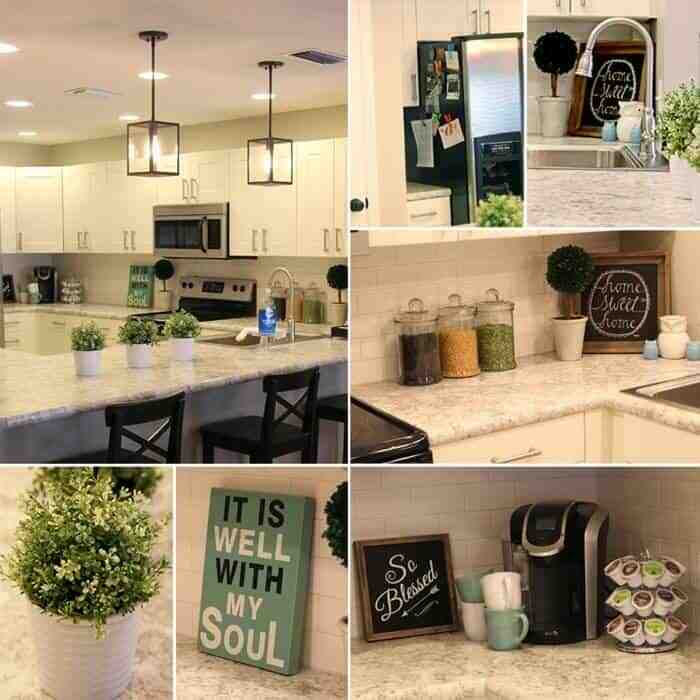 What a change to your kitchen! It looks great. I’m glad you are posting again on your blog. I am amazed at how you opened up your kitchen to have so much light. 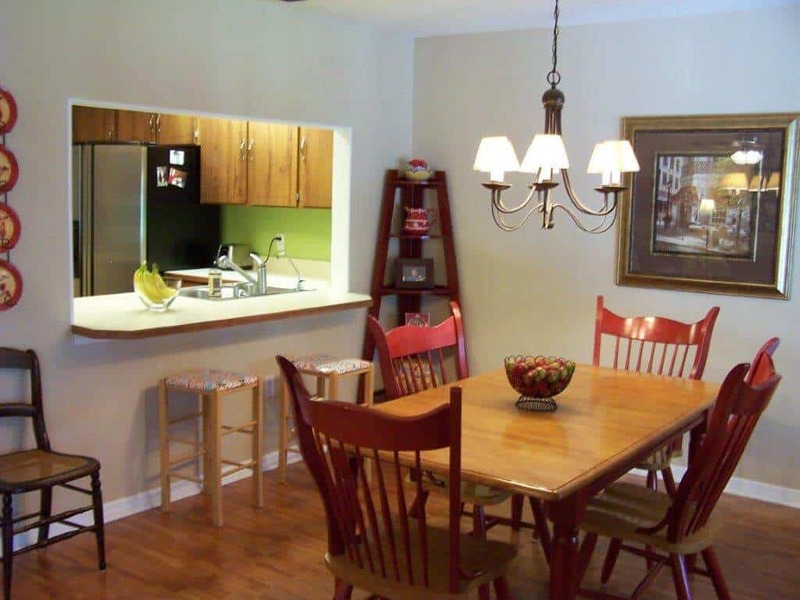 That is awesome that kitchen remodeling can be so affordable and beneficial to your home. 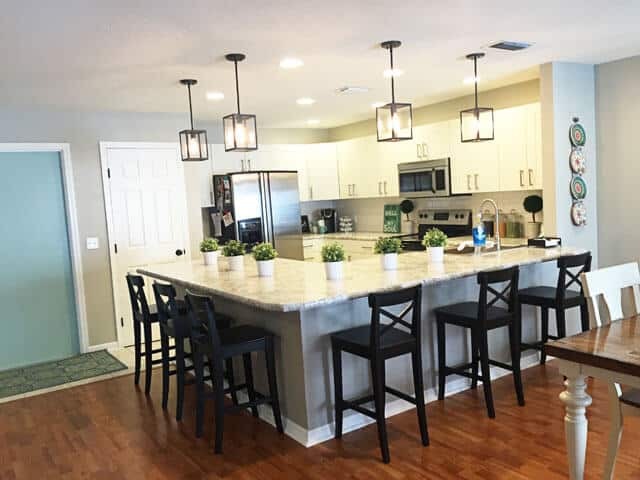 Thank you for sharing how getting a remodeling contractor that can design a kitchen to your specifications is essential. Kitchen renovations are not simple projects that can be completed in a hurry, and it could not have been easy for you, at the time. Congratulations on a successful project and wishing more success in 2016. Your kitchen remodel is beautiful. You really made the most of the space you have. Nice color choices & opening it up makes it look spacious.It went from ok to Wow! 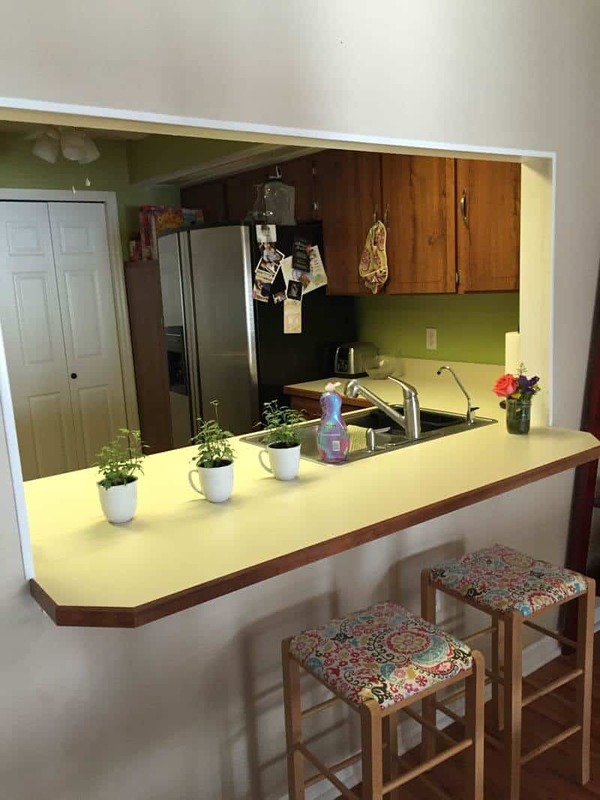 With all that counter you can have quite a few friends for brunch or dinner. Thanks for sharing this great post! 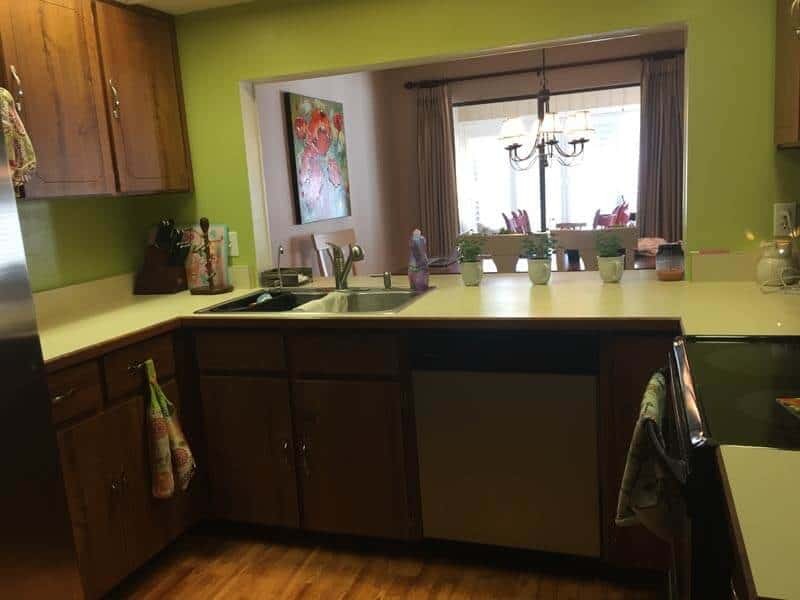 My husband and I are going to be renovating our kitchen, so I’ve been looking for some ideas. I really love the white colors contrasted with the black all throughout your kitchen! I especially like the light fixtures hanging from the ceiling! Hi, Lillian. We love the lights, too. Great find from Lowe’s!